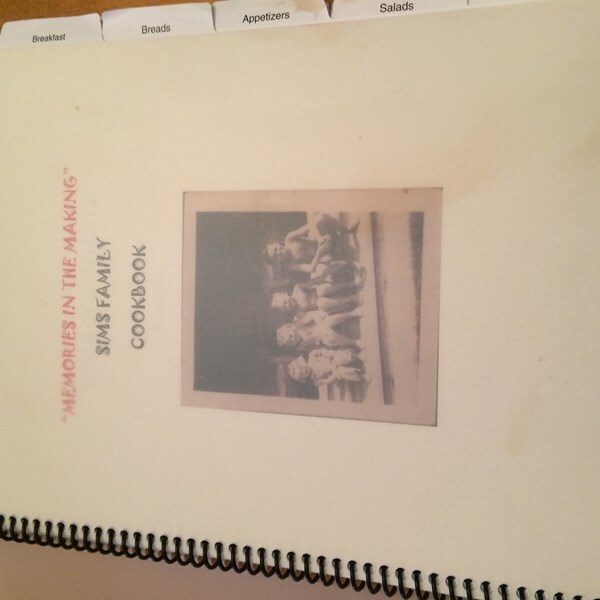 Another popular goal is to Write a cookbook of family recipes. 3507 people want to do this. 245 people have done this. Ne zamandır yemek yapmayı öğrenmek istiyordum, birkaç kez el attığım tarifler oldu ama hepsi buhar oldu gitti, her seferinde yeniden google'a başvurmak durumunda kalıyorum. Böyle olunca da bir şeyi öğrenmiş olmuyorsun değil mi? Bu hedefle birlikte el attığım tarifleri derli toplu tutmanın yolu olarak kadın anamın pişirme yöntemlerini dijital ortamda toparlamış olacağım. Kendi adıma google'da kaybolma, bir tarif için birkaç video izleme derdine son! Anamın tarifleri orada işte. It is a work in progress, but I have tons of my favorite recipes organized and in each one in a sheet protector in a binder now. I just finished it tonight. My daughter took a bunch of my recipes a couple years ago and actually published them in a hardcover book, but I have since added many more. Started my custom recipe book today. Now to fill it up! 15/03/18 - Added the first three recipes. I have ordered a blank recipe book which I plan on using for the "try 50 new recipes challenge". I've been adding recipes to my Wiki. I'm going to consider my Pinterest page on food the start. Simple "riced" cauliflower. Baking chicken so its juicy and tender. Smoothie blends for greens and sweetness. Cookbook will be simple recipes - 6 types with up to 6 of each type. Meat, veggies, dessert, smoothie, vegan "faux dairy", and appetizers. Started working on the recipes on November 23, 2013. This is an orange binder in my kitchen I have started to compile all my favorite recipes. I'm making a custom digital recipe book for my Mac & iPad. I'm using Paprika and will be entering all my favorite recipes so I can easily get to them in one place. My goal is to have them all on my iPad so I don't have a bookshelf worth of cookbooks taking up room in my kitchen. I've scanned one cookbook made by people at church now to use OCR software and import the data into the program. This will be the first steps in completing this goal. *Start making a custom cookbook. I want to be continually adding to it, after all. 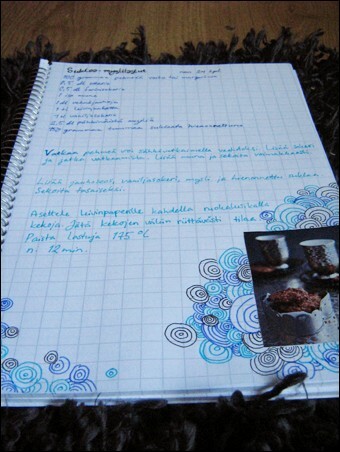 I have a notepad of my own recipes - write up on computer, take photo of each next time I make them and continue to build the book up! Started typing recipes to a doc file. Gathering tried and true recipes. 25 recipes - 5 starter, 10 main, 10 dessert. Possible Sites: 1. Tastebook.com ~ Starting at $19.95 for 25 recipes, Tastebook.com offers customized cookbooks with photos and a binder. 2. CookbookPeople.com ~ The Cookbook People's site offers 3 different ways to show-off your family recipes. I am using a new blog & Pinterest to keep track of what I want to put in there. I plan on having it printed with Blurb. OCT 2010 - 35% of job done. I already have a really basic one, but I need to make a better one. Started to create this book on Bookemon.com (AWESOME Website!!!!) So far I only have 1 recipe in it. May 13th, 2010.